You'll be £25.00 closer to your next £10.00 credit when you purchase The 6th Battalion the Cheshire Regiment in the Great War. What's this? The 6th Battalion, the Cheshire Regiment, was a pre-war Territorial battalion that recruited in the North Cheshire towns of Stockport, Hyde and Stalybridge, together with the Derbyshire town of Glossop. The majority of its part-time soldiers worked in the area’s cotton mills and hat making factories. One of the first Territorial battalions to see action in the Great War, it went overseas in November 1914, taking part in the famous Christmas truce a few weeks later. In 1916, it saw major action during the Battle of the Somme. The following year, it suffered heavy casualties during the action around the Belgian town of Ypres, which is often known as the Battle of Passchendaele. In 1918 the Battalion fought to hold off German advances in the spring but, along with the rest of the BEF, was forced to retreat many miles. By the summer of that year the tide had turned and the Cheshire's took part in the final advances that ended the war in November. The story is told from the Battalion’s formation in 1908 to its disbandment in the 1920s and beyond with details of the Old Comrades Association. Official accounts are supplemented by the men’s own words, taken from diaries, letters and newspaper reports. The author's skillful interweaving of the accounts of those serving - many formerly employed in the cotton industry - makes this book particularly informative and entertaining. In all, some 6000 men passed through the ranks of the Battalion. Nearly 750 had been killed, and over 4000 had been wounded or reported sick. Throughout, there are excellent photographs of the men included, which links constantly to the flow of text. Other striking images put across the wider feel of the Regiment, such as the Battalion machine in France, photos of officers, recruiting posters from the local press, and the local community from which the men came. As the author states, 'they were ordinary men who had lived through very extraordinary times'. This book is a fitting tribute to them. 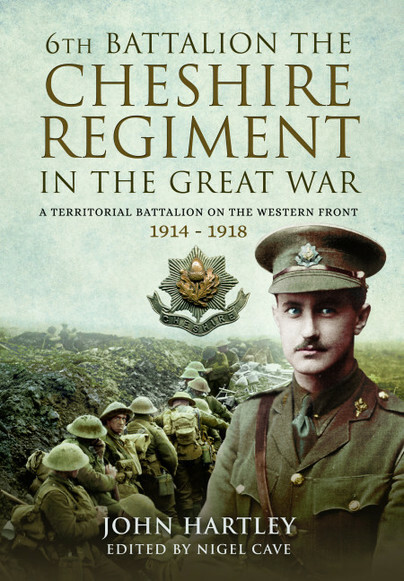 The author, who has done a superb job, uses a wealth of personal accounts alongside official ones to bring to life the full story of this county battalion.